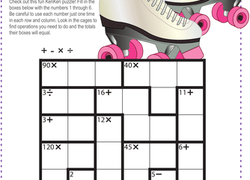 Test your little maths whiz with these easy brain teasers for kids! Year six is an important time to master addition, subtraction, multiplication, and division. 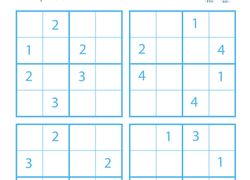 This maths card game challenges your child to do just that! Read all of the clues to determine the mystery number. 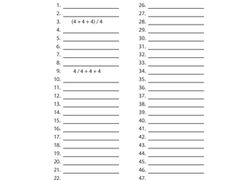 Find the missing digits, then place your answers in the boxes provided. Calling all Sudoku and Ken Ken buffs! 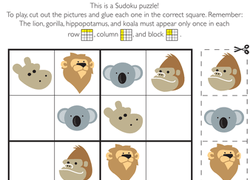 These maths puzzles are tricky, but are a fun and simpler spin-off of the popular Ken Ken puzzle. Uh oh, someone mislabeled these boxes of fruit! Can your child use her logic to figure out which fruit is in which box? 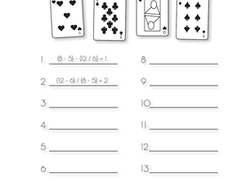 Not just an intro to a popular card game, this worksheet encourages quick-thinking and comparison, and helps kids learn to break problems down. Brush up on the different types of polygons and what makes them unique!